75 Ball Bingo Rules for Bingo Lovers - Play Today! Bingo is now one of the fastest growing online activities today. 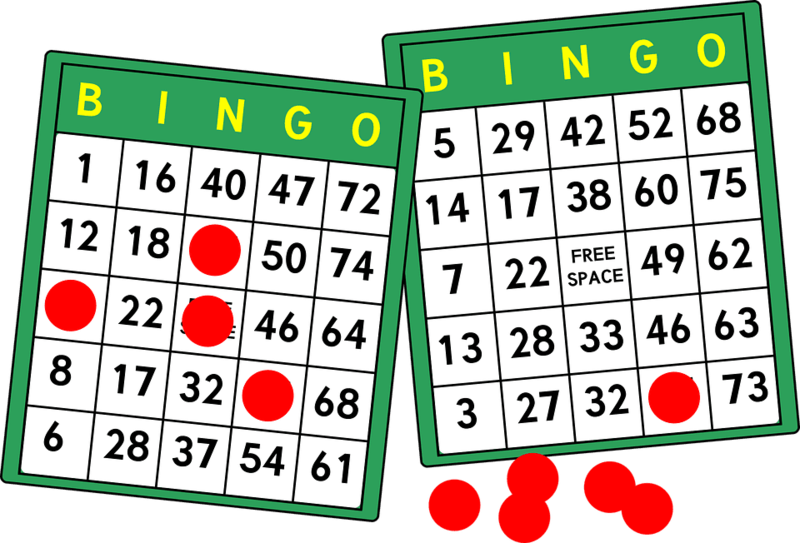 Surveys have shown that bingo’s demographic has radically changed and is now played by more people under the age of fifty than ever before. With ease of access, exciting gameplay and the potential to win huge cash jackpots, the reasons become clear. It has always been popular in the UK, but this game is now a truly worldwide phenomenon. Countries as diverse and afar as Australia, the USA, Canada, France, Sweden, Belgium, Brazil, Spain and Romania are all self-confessed bingo-lovers. The Americans alone spend an enormous $10 billion a year playing the game, this despite gambling being illegal in many states. When the Brazilians imposed a ban after a corruption scandal, 30,000 bingo hall workers were left unemployed and the Government had to reverse its decision. In Spain, the Government had to create a law that regulated how far apart bingo halls were because of massive interest in the game. Bingo has evolved since its modern-day inception in 1920’s America. It has progressed and changed with the times and there are now multiple versions of this game in every country. Perhaps the most played version, however, is still the traditional bingo 75 ball. 75 ball is the version that is most popular in the USA, which is why it is often known as ‘American Bingo’ and is a variation on the 90 ball game. If you would like to know the rules for 75 ball then you’ve come to the right place. The first thing to do is to purchase your tickets. If you are playing online you will simply select a ‘75 ball game and then decide how many tickets you would like to purchase. The money will then be debited from your online account and you are ready to go. If you are playing 75 ball in a traditional hall, then there will usually be a ticket booth to purchase your tickets from. Alternatively, some halls have vendors who will come around to your table with tickets and you can purchase them this way instead. All you need now is a pen or a ‘dabber’ and you’re ready to start playing. A 75 ball bingo ticket will have the letters ‘B’, ‘I’, ‘N’, ‘G’ and ‘O’ at the top of a grid consisting of five columns and five horizontal side by side rows. The columns determine where the numbers are placed on the grid. So, the number 1 through 15 will be in the ‘B’ column, the numbers 16 through 30 are under the ‘I’ column, numbers 31 through 45 are under the ‘N’ column, 46 to 60 are in the ‘G’ column, and yes you guessed it, the numbers 61 through 75 are in the ‘O’ column. The tickets have a spot in the middle which is labelled ‘FREE’. This spot is considered to be automatically marked off and a free shot. If you are playing in a traditional hall then you will begin the game by marking this spot off with your dabber. When this game begins, the announcer will randomly draw one number at a time. If you have that number you would then mark it off your card. If you are playing online then you might also have the option of the computer automatically marking your card for you. The initial object of the game is to complete a line with containing five grid numbers. This can be done horizontally, vertically or diagonally, but it must contain five grid numbers. If you complete a line you must shout ‘bingo’ and the game will temporarily stop. This is so your card can be checked to see that no errors have been made. Once your claim has been verified, you will be entitled to a prize or cash sum. This will vary depending on where you are playing. The game then continues where it left off. Depending on what variation you are playing the next goal might be to complete two lines or get a Full House. If you need to complete two lines this again must be any combination of horizontal, vertical and diagonal. If you are playing for the full house, then all numbers must be marked off to stake a winning claim. Regardless of which version is being played the eventual outcome will be the same, with someone shouting ‘House’ to indicate they have marked off all of their numbers. Once again, the card will be checked and verified and the winner will be entitled to a prize or cash sum, typically worth more than winning a single or double line. This marks the end of the game and the tickets can be discarded ready for the next game. The rules for 75 ball are few and uncomplicated. It provides a quick and exciting game for a relatively low expenditure. Prizes and jackpots will vary from operator to operator but they can sometimes be worth up to six figures. To increase your chances of winning at 75 ball you could buy more tickets for one game. A maximum of 18 tickets is usually allowed, so this would substantially increase your odds of winning. It would, of course, require more money being spent on tickets and you have to be fast to juggle all those tickets while the numbers are being called, but the financial rewards could well be worth it. Of course, it wouldn’t hurt your chances to do a bit of homework too. Bingo is a game of chance, but if you search the many, many bingo providers online and in physical form, they nearly all have some form of promotion or special offer on. This could work to your advantage as bingo providers are commonly known to offer incentives such as free games, deposit £10 and receive another £20 to spend, and discounted sessions. With a little detective work, you could be playing bingo for less than everyone else and still have the same shot at that grand prize.